Expenses have plagued businesses since the dawn of the new age. From small amounts of workplace maintenance down to team outings, the number grows wide. As an owner, you have to make sure that you meet employee expectations. It’s also needed to improve your business to be ahead of the competition. But when expenses grow and start to skyrocket, you have to make sure that you have options to remain in the game. One of the most talked about today is safety and security in the workplace which says so much about drug testing. Such issue has people taking two types of drug tests; the 5-panel drug test and the 10-panel screen. The main difference between the two screenings is the number of drugs that are tested for in the urine. As the name suggests, a 5-panel drug test screens for the presence of metabolites for 5 drugs and a 10 panel drug test screens for 10. These two screenings then differ in terms of cost, the substances tested, and when they are required. A standard 5 panel drug test screens for THC, Opiates, PCP, Cocaine, and Amphetamines. These are commonly abused substances or what is usually referred to as “street drugs.” Unless there is a need to test for a specific substance, a 5 panel drug test will suffice for workplaces and other agencies that require them. A 10 panel drug test casts a wider net and screens for these 5 substances plus Methamphetamines, Barbiturates, Benzodiazepines, Methadone and Propoxyphene. Private employers in the United States can opt to screen with either test depending on its internal requirements and budget. Drug testing is carried out for several reasons including pre-employment screenings, random work-related testing, athletic drug testing for both collegiate and professional, post accident testing and safety-related testing. This may be done by partnering with a drug testing agency or acquiring home drug testing kits for the employees to use. In the United States, drug testing is commonly done in work settings to lessen the impacts of drug abuse to employee productivity and safety. Drug testing is done to screen potential hires as well as to evaluate employees through annual random testing. The Federal government and the DOT use 5-panel drug testing as the industry standard. Many private employers use the 5-panel drug testing with the exception of some industries where a wider screen is required. Jobs that require a high level of safety like construction and heavy machinery related industries may require a 10-panel drug test or more. Some private employees advocating for a strict drug-free environment may also use a 10 panel or even a 12-panel drug test. Corporate culture also comes into play when determining which type of drug testing a company will require. Workplaces who mostly employ white collar workers in high-income brackets may want to test for mind-altering drugs. Some companies may have a culture and company outlook that only require for commonly abused substances or “street drugs” to be tested. The cost for drug testing is determined by a few factors such as the volume, type of specimen to be tested and the number of substances to be tested for. Volume refers to the number of individuals to be tested. For example, labs will offer each test at a lower cost for companies with 5,000 employees compared to another with 100. Hair drug testing is the most expensive method and therefore not commonly used. Blood testing comes second and is only used in extreme cases such as when the patient is unconscious following an injury. Urine blood testing is the least expensive and most commonly used especially in work environments. Using urine samples, 5 Panel drug testing costs about $14 to $75 per screening while a 10 Panel drug testing $22 to $95. 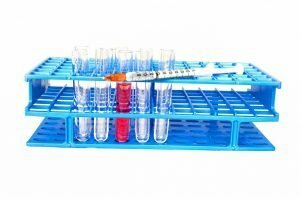 Overall, the type of drug testing, whether 5-panel, 10-panel or other, will depend on what the companies require according to their goals and the nature of the job itself.